Despite being located just 5km away from the hustle and bustle of the Kuala Lumpur city centre, the lushly green and hilly Setiawangsa is a calm and low-density residential neighbourhood. 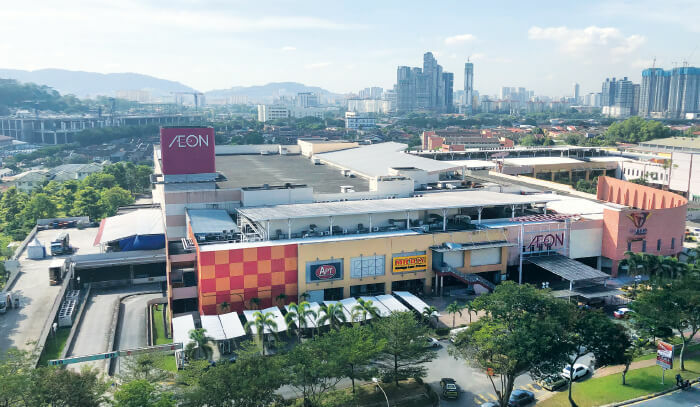 Flanked by the city centre, Titiwangsa and Wangsa Maju, this self-contained suburb is made up mostly of detached, semi-detached and terraced houses and a few high-rises. 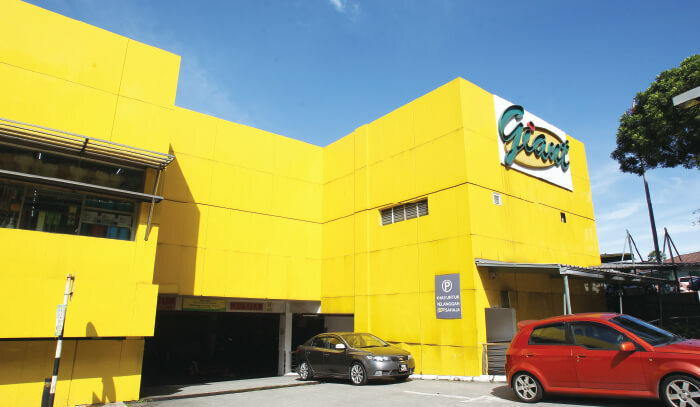 It also boasts a Giant supermarket, AEON AU2 (Setiawangsa) Store & Shopping Centre and the well-known Masjid Muadz bin Jabal. The non-landed residential properties in the area fetch about RM400 psf. According to Toh, Taman Setiawangsa was developed by Island & Peninsular (I&P) Group Sdn Bhd. “Taman Setiawangsa was developed by I&P Group. 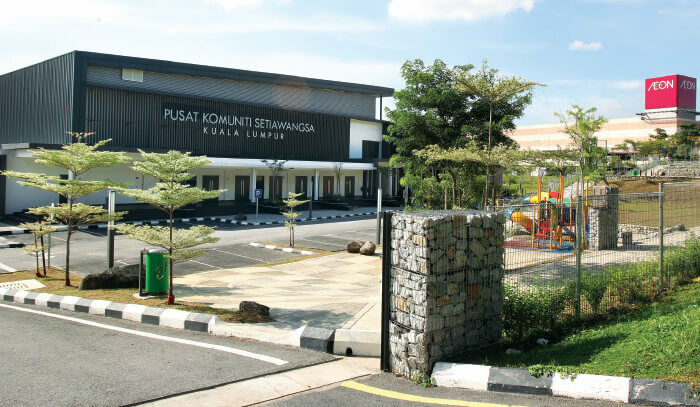 The foothill and mid-hill areas were developed in stages in the 1980s before work started on Puncak Setiawangsa, which was completed in 1995,” he says. The 100ha suburb comprises about 3,092 residential units, a large portion of which are freehold, he adds. According to Metro REC Sdn Bhd managing director Ng Weng Yew, Setiawangsa is also the operational base for multinational corporations such as Texas Instruments Inc and pharmaceutical company Fidin Universal Sdn Bhd. 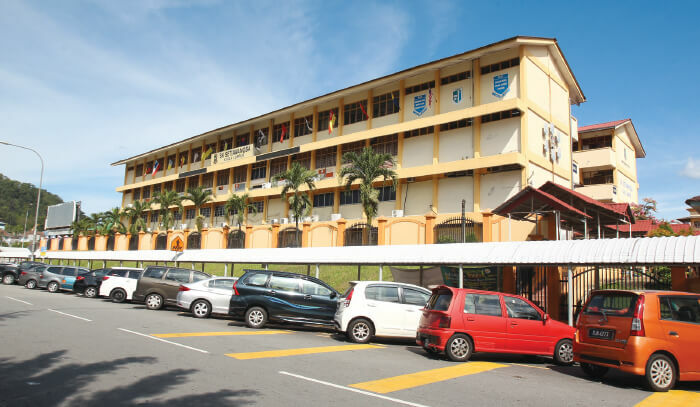 The schools in the area include Sekolah Kebangsaan Setiawangsa and Sekolah Menengah Kebangsaan Taman Setiawangsa while the Fairview International School is located not far away in Wangsa Maju. 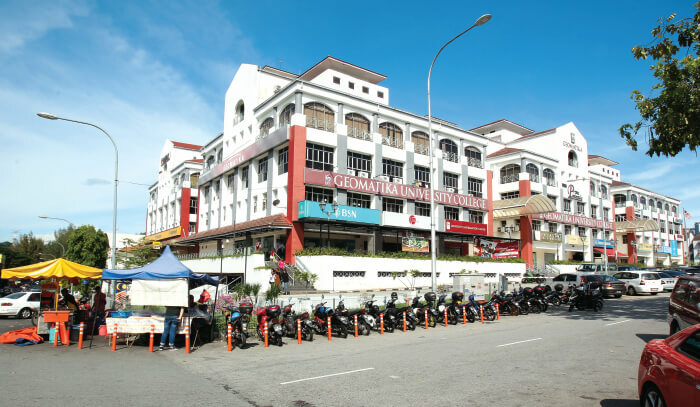 There is a neighbourly vibe to Setiawangsa and a stroll in Taman Setiawangsa reveals a number of small offices, supermarkets, food courts and gerai. “Setiawangsa comprises foothill and mid-hill areas such as Taman Setiawangsa, Puncak Setiawangsa and Bukit Setiawangsa,” says Ainnura Aerina Sabirin, who grew up in the area. 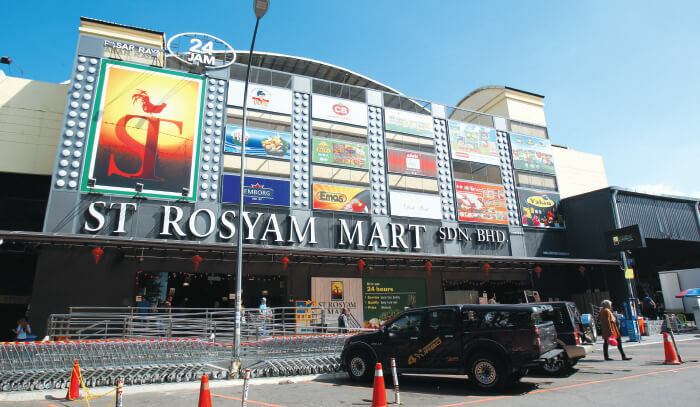 “It has a good mix of low-cost to high-end residential developments, small commercial projects and a lot of local amenities and supermarkets, such as ST Rosyam Mart Sdn Bhd. Its community is predominantly Malay. “Setiawangsa is an old area where one may not find hip hangouts like in Taman Tun Dr Ismail or Sri Hartamas but it is packed with conveniences. Moreover, the city centre with all its trendy offerings is just around the corner,” she adds. Setiawangsa’s residents also often host community-driven activities at its mosque and open spaces. 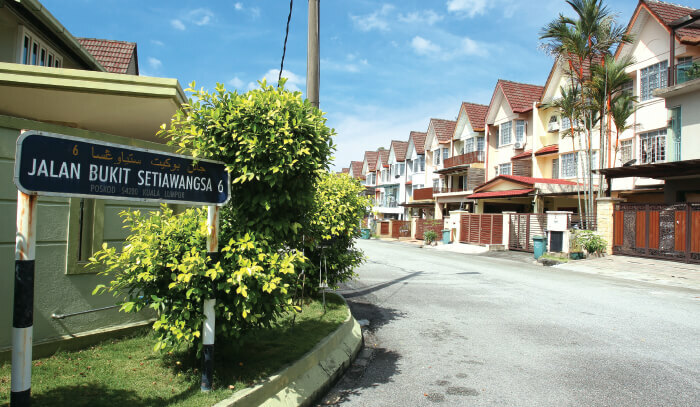 As one of KL’s well-established suburbs, Setiawangsa is much sought after by homebuyers. And though it is known for its landed properties, there has been a surge in demand for its high-rises. 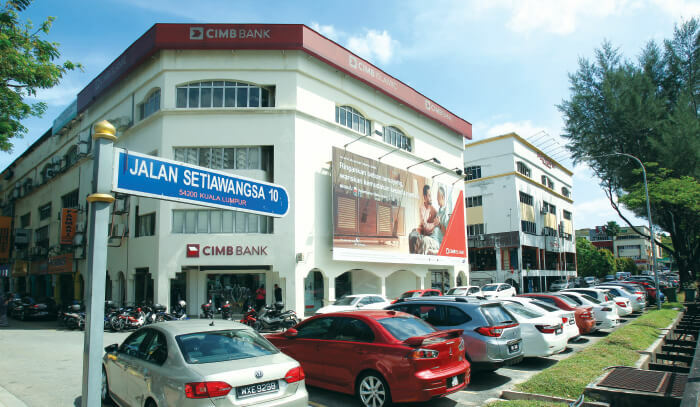 In terms of demand for commercial properties in Setiawangsa, he maintains that it is steady. “Demand is strong for commercial properties here with almost full occupancy. Average prices (depending on type and range) are between RM300 and RM600 psf with rental rates of RM2 to RM5 psf per month,” he says, adding that Setiawangsa is attractive to the middle-class family segment, which consists mainly of owner-occupiers. Ng concurs, saying that the landed homes draw mostly mature families while the condos attract young families and couples. Chua lists the advantages of living in Setiawangsa as its proximity to the city centre and its ample facilities, ranging from shops and banks to recreational spaces. Yet another is its accessibility, especially via Jalan Ampang, the DUKE highway and its LRT station. According to Ng, “one of the upsides of living in Setiawangsa is its accessibility and short travelling distance to the city centre, and the availability of public transport”. Its connection to the DUKE highway and the Setiawangsa-Pantai Expressway (which is under construction) will put it within easy reach of the Tun Razak Exchange, Kerinchi and the Bandar Malaysia development corridor, he adds. Setiawangsa also has its own set of challenges. “There is a competition of stratified condominiums in terms of supply coming from Wangsa Maju. Terrain for locations closer to Bukit Dinding could be challenging for any real estate development. There is also notable traffic congestion during the peak hours,” says Ng. Nevertheless, the overall outlook for Setiawangsa appears positive. 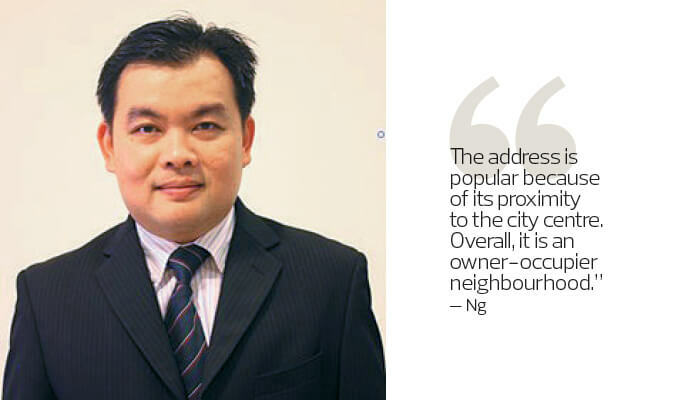 “We expect property prices and rental rates in Setiawangsa to be stable with a positive long-term outlook,” says Chua. New launches in Setiawangsa are mostly in non-landed developments such as Kerjaya Prospek Group Bhd’s Kaleidoscope. Launched last year, the six-acre project has four 25-storey residential blocks comprising a total of 600 units. The units have built-ups of 1,196 to 1,491 sq ft and an estimated average selling price of RM500 psf. Due to be completed in 2020, Kaleidoscope has a gross development value (GDV) of about RM400 million. The Valleys @ SkySierra by SkyWorld Development Sdn Bhd is located on a 13.6-acre parcel next to AEON AU2 and was launched last year. The first phase of the project, spanning 4.6 acres, is a condominium comprising 1,000 units (including dual-key) in three blocks. “The value of landed properties will rise, albeit at a slower rate due to the current passive economic outlook, while high-rises (apartments and condos) will face some challenges due to oversupply in the vicinity,” says Toh.